Many (but not all) teams require dogs to have a basic level of obedience before they can learn flyball. Check out our list of clubs, or contact the representative for your state for more information on local clubs. If there are no existing teams in your area, you might have to start your own team. Many teams will be glad to help new teams starting up by providing advice or organising combined training sessions and seminar days. Again, your regional representative should be able to help here. The AFA also has an information pack. How old do dogs have to be to play flyball? Dogs must be at least 12 months old to compete at flyball. Care should be taken with young dogs jumping, ask your veterinarian for advice. How many races does each dog do at a competition? There are typically between 18 and 32 heats for each team at a competition, and between 4 and 6 dogs in each team. With even rotation of the dogs in the team, each dog might run between 12 and 32 heats, plus perhaps a few runs in the warm up period. Do dogs need to be fit to play flyball? Dogs do need to be relatively fit to play flyball. Many handlers keep their dogs fit by swimming or bike riding with them. In summer, they also need to be acclimatised to running in the heat. How much does it cost to be involved in flyball? Flyball is a relatively cheap sport. Membership to the AFA costs only $25 for the first year, which includes AFA membership a CRN (competition racing number for your first dog) and an AFA rules and policies book. Renewal is $20 per dog per year and additional dogs may be added to your membership and receive a crn for $20 per year. 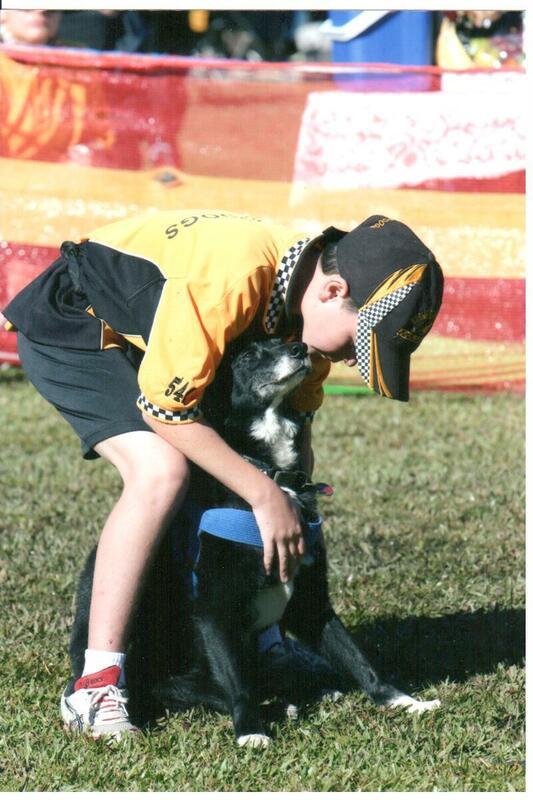 Competition entry fees are set by the competition organisers are typically $70-$90 per team of 4-6 dogs. Travelling interstate for competitions can become expensive, but many Australian teams help each other out by offering to billet teams from interstate.